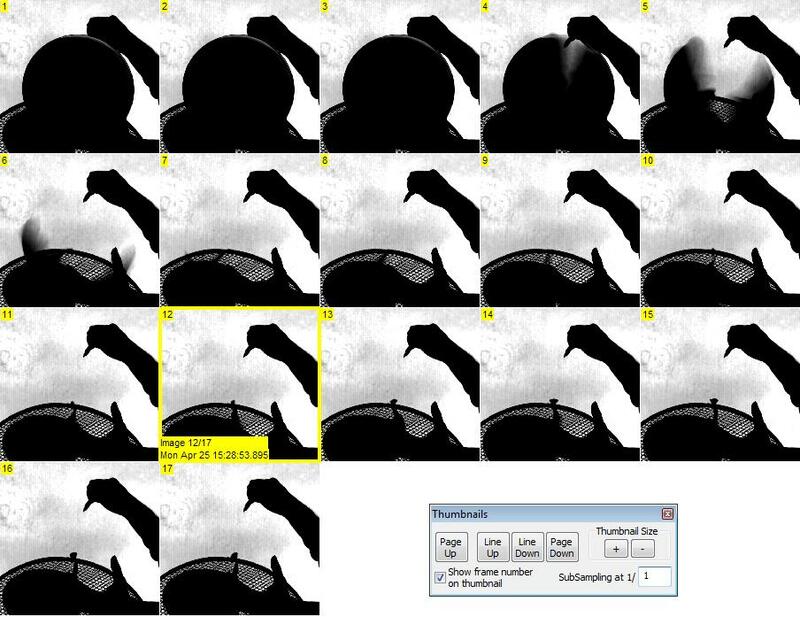 Thumbnail view mode : View captured sequences as individual, resizable thumbnails. Select a range within a sequence for playback, saving or exporting. Ability to preview and print the current frame. TroublePix can manage up to 5 pre-recorded sequences while recording or reviewing another one. Controls the playback at fixed or variable speed either forwards or backwards. Lets you quickly isolate a specific section within a sequence and find exactly the frame you want. Provides quick access to previously recorded sequences.